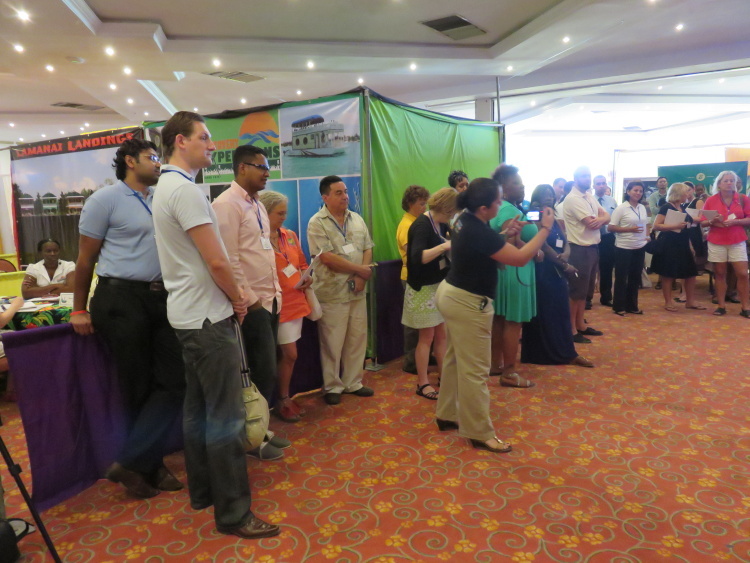 After a bit of work, I secured a press pass to the large Travel Expo that is held each year by the BTIA (Belize Tourism Industry Association) to…well…sell Belize. To present the country to visiting travel agents, wholesalers and consolidators (I’m still not exactly sure what those last two are)…to attract visitors to our country. The event was (and is still being) held in the Princess Hotel and Casino which has actually been very recently purchased/repurchased by the Ramada chain. It’s now the Ramada Belize City Princess. 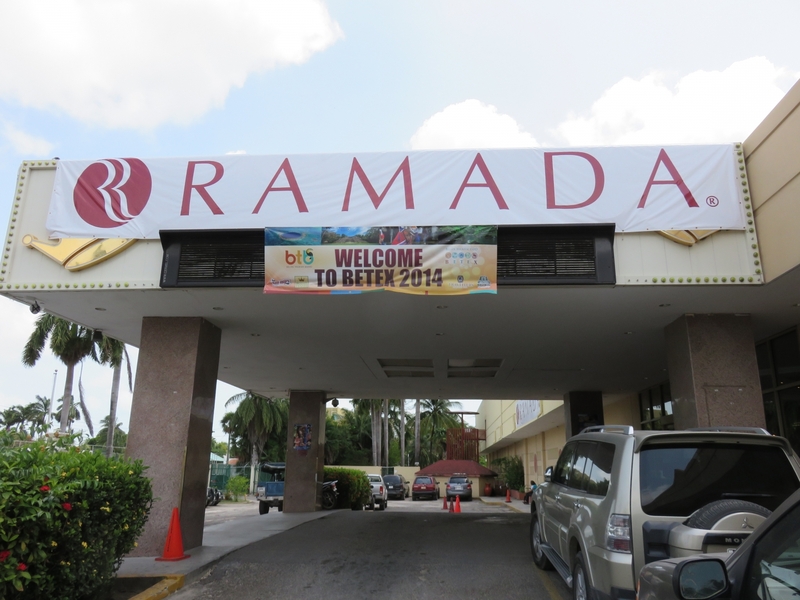 Belize’s largest hotel was actually the Ramada more than 20 years ago and then became the Fiesta (part of a Mexican chain?) and then the Princess and now she has come full circle. 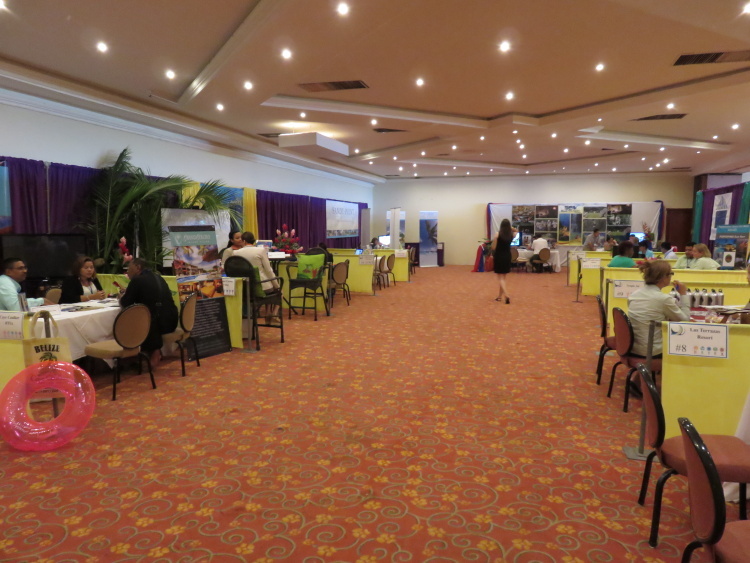 The room was filled with booths from hotels, the local airlines and, a bit strangely, the cell phone companies. 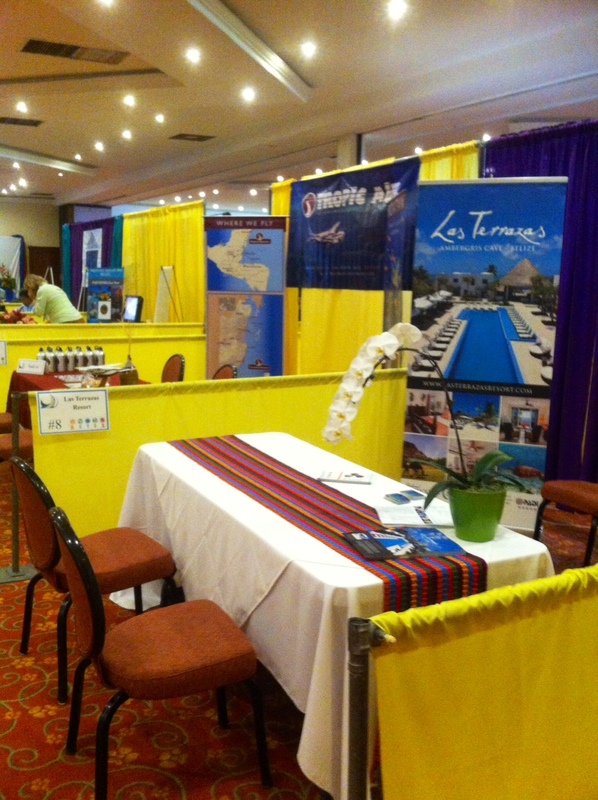 My friends at Las Terrazas Resort and Tropic Air. 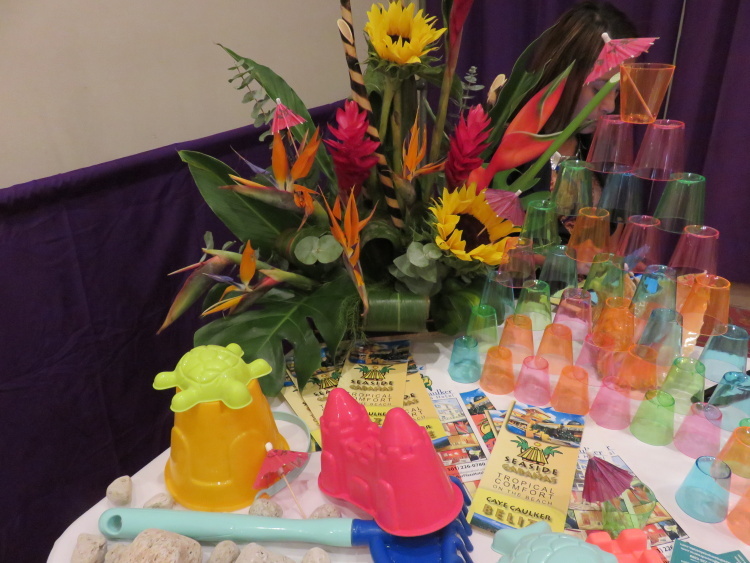 Lots of freebies for the visiting travel agents from water bottles to shot glasses with rum punch to bags. Lots of bags. to the visitors and press. And then everyone was free to visit the different vendors. I spent a few hours talking to lovely people about their hotels and handing out my GIANT card. These folks live in Franklin Lakes, NJ (part time) and built and operate Belize Nirvana in Placencia. I grew up just a few towns over in Ridgewood, NJ. Small world…and I definitely want to visit them next time I’m in the area. My friends at Chabil Mar Villas – the GORGEOUS Chabil Mar – set up an entire (what I’ll call) “lifestyle area”. Represents their beautiful spot nicely. 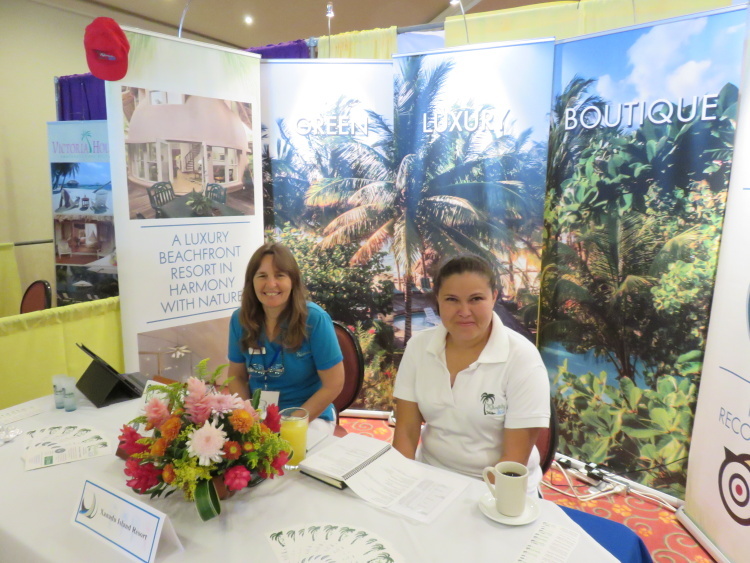 I saw my friends at Portofino Resort and the ladies of Xanadu – both on Ambergris Caye. I met the managers of Belcampo in Punta Gorda – another seriously special spot that I’d love to visit when I am down in PG at the end of the month for the Chocolate Festival. 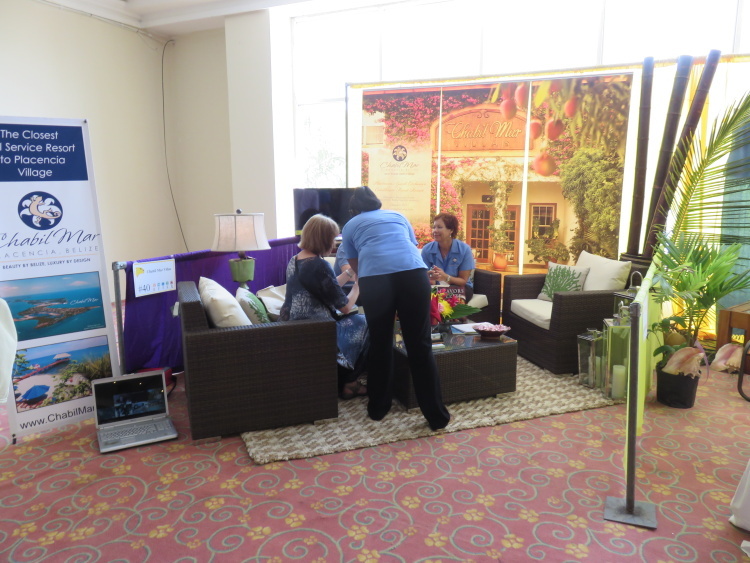 Travel agents were milling about, chatting with hotels…and definitely gathering goodies. 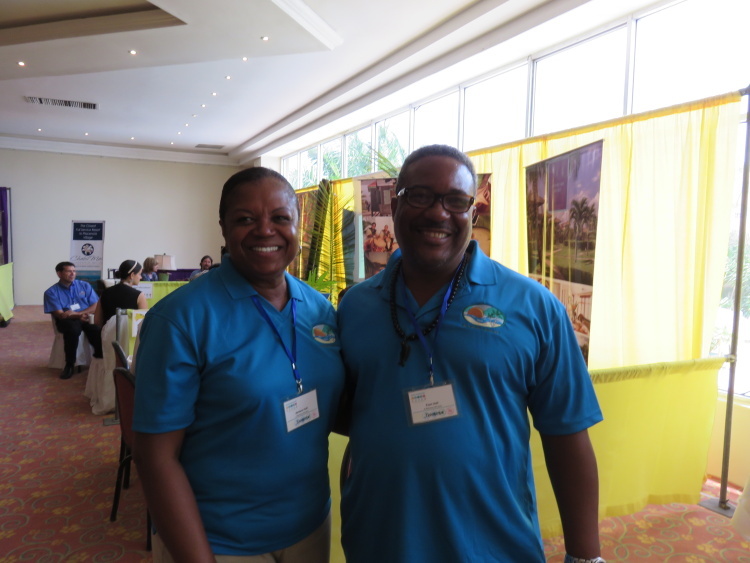 They have one more day of the expo and then they are off in separate directions to experience Belize. Depending on their focus – diving, beaches, adventure, food – there is plenty to do and see. I’d love to wrap this up with something clever and deep but I’ve got very little. 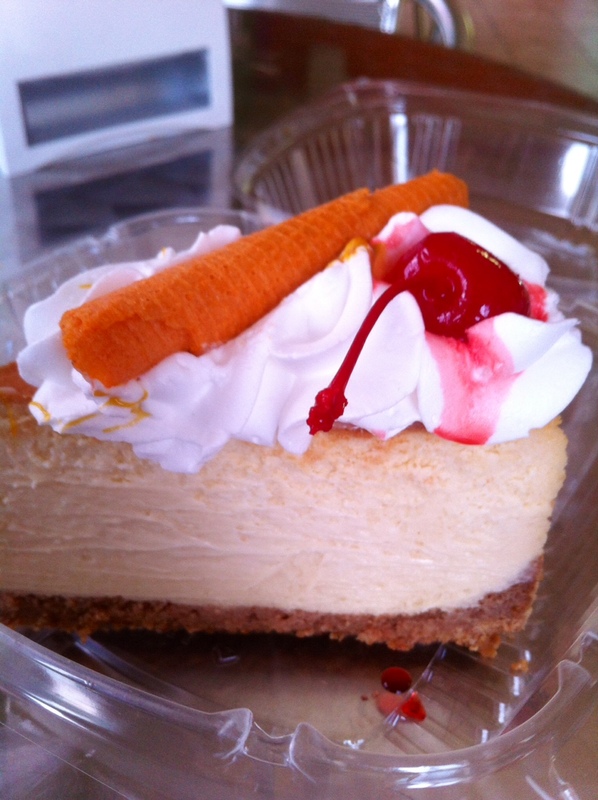 In fact, I was off to a local bakery called SugarFix to try what is called “the best cheesecake in Belize”. Oh – back to BETEX. In my mind, all travel booking these day is done on the internet but clearly, that is just my methodology. Travel agents are still in demand for honeymoons, for high-end travellers and for others. 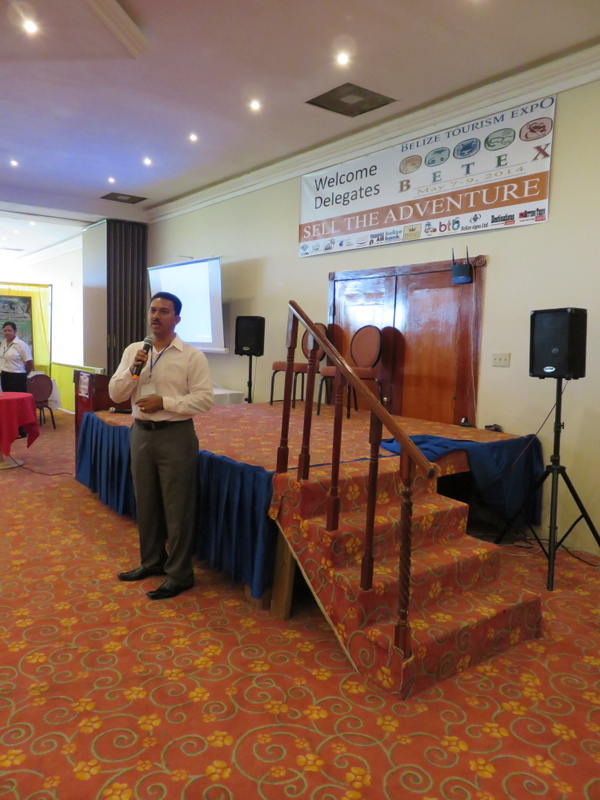 I hope that these pros gather a bit of information here, a little bit of an overview, and then get out there and experience Belize. It’s nice to meet enthusiastic proud hotel owners, manager and staff. Good to see people with the BTIA. I’m glad I went. I also got to chat with the provider of my internet, Smart Phone. 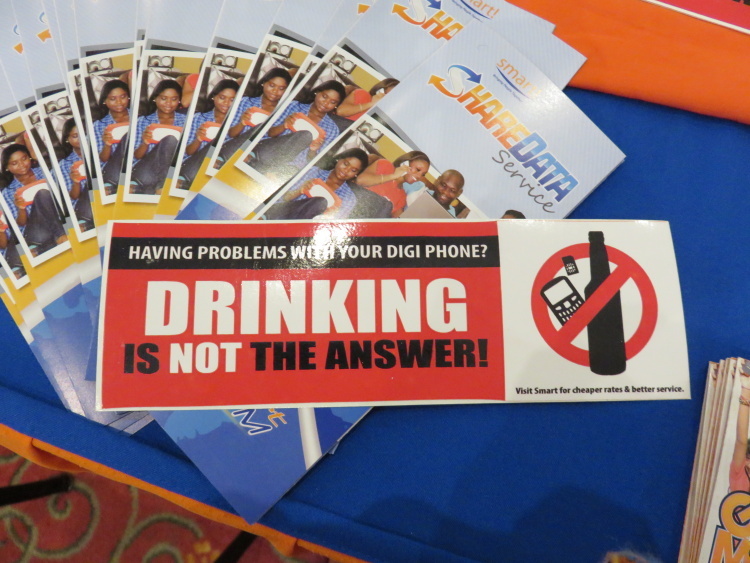 I thought this bumper sticker was strongly against texting, driving and drinking (or some combination of the three) but really they are just ripping on their competitors – Digicell. 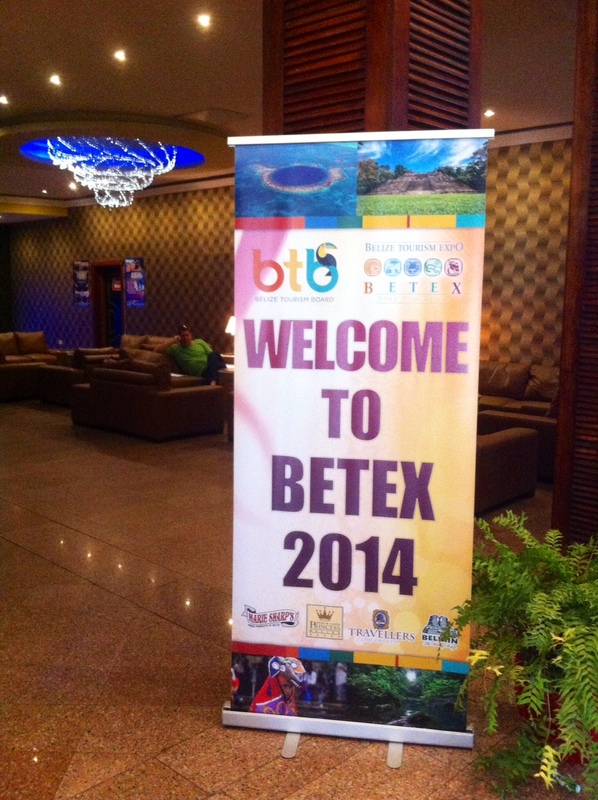 For more information on BETEX, check out their website. For more information on the hotels mentioned, scroll down a little bit. And for more information on the location mentioned in Belize, it’s all right here on SanPedroScoop.com. The LOCATIONS tab is a good place to start for an overview.